One is Resident. One is Evil. One is 6. The game makes as much sense as that. The prologue to Resident Evil 6 is a dazzling display of visual narrative interactive storytelling. Taken from a later section of Leon Kennedy's story, it impresses with tone and spectacle, introducing the basic quick-time event, use of medicinal herbs, running, and shooting mechanics. It's also profoundly linear; in one early section I pulled the analog stick backwards and to the side to see if I could explore the environment, only to have these motions drive Leon forward along the same track, no matter which direction I pushed; it made the long corridors of Final Fantasy XIII look like giant open fields. Still, it's a thrilling visual spectacle driving the player from extremely directed set-piece to set-piece. That Resident Evil 6 never lives up to the promise of this first short section of gameplay—the actual section of Leon's gameplay that this prologue teases feels stilted and poorly implemented—says nearly all you need to know about the game. Nick Tan told me that I'd need some time to review the game, since he'd been told proudly that the game was four times as long as Resident Evil 5. This is because Resident Evil 6 is divided into four different character-driven campaign: Leon Kennedy, Chris Redfield, and newcomer Jake Muller all start with their own campaign, with an Ada Wong campaign unlockable by beating the three primary campaigns. The storylines crossover, and it's necessary to play all of them to get the whole story. That Resident Evil chases the Western market is immediately noticeable and is ultimately a detriment to the title. This is partly because Resident Evil 6 is almost explicitly a multiplayer experience. 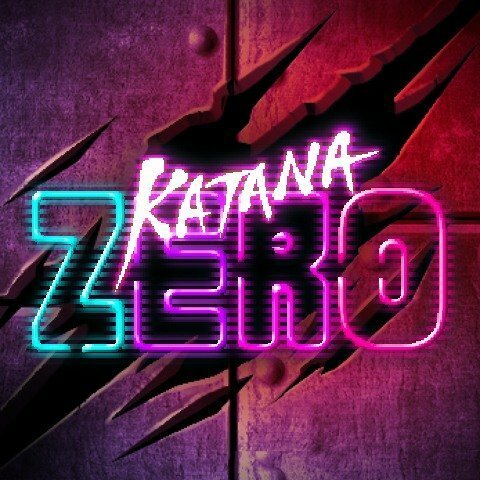 The single-player pales intensely compared to the intensity of the co-op gameplay; with the exception of the prologue and the Ada Wong campaign (Ada's is a solo campaign but has a few crossover sections where other online players can play with you). Each character is partnered with the equivalent of nameless but pretty drone people. Admittedly, one of them is Sherry Birkin from Resident Evil 2, but her only real distinguishing character trait is that she works for the National Security Advisor, thus confirming that all survivors of the Raccoon City Incident now work for one stupid government agency or another. 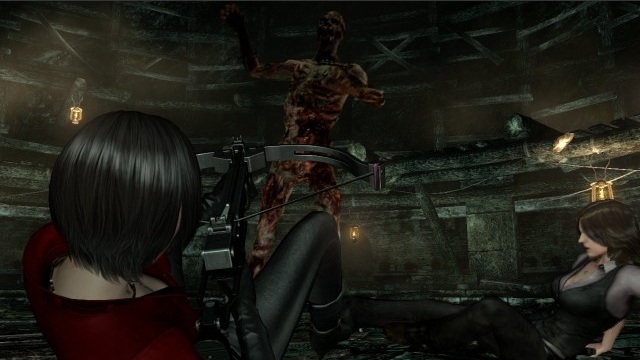 In all but the Ada Wong campaign, puzzles have been replaced with cooperative play tasks where characters must split up and perform different challenges; for example, one character has to run to the opposite side of an area and lower a bridge for the other. It's how one might imagine gameplay in Half-Life 2 if a second player controlled Alex Vance. 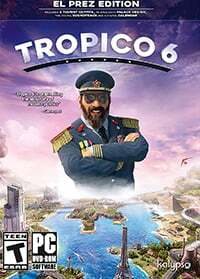 This aspect of the game is actually fun, as are the in-game events where the campaigns intersect, where up to four players can be playing cooperatively at once (though due to the limited number of players during the review period, I was not able to experience this). It's clear that this is a huge aspect of the game that the developers have spent an intense amount of time on. Even in single-player, these sections are enjoyable and well-developed. So it's unfortunate that they haven't spent as much time on the sections between these multi-campaign events. Particularly any gameplay section without zombies becomes stale, derivative, or wrought with poorly implemented design. 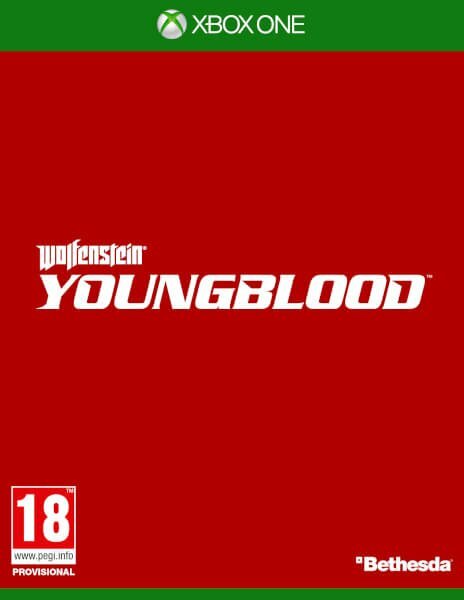 Though you can start any of the three campaigns from the beginning, the first in the list is Leon's, and the experience is extremely tightly facilitated: You can only walk for the first five to ten minutes, and can't shoot for another five, and don't kill your first zombie for another while. It's like the game deliberately holds your hand like an indulgent mother, but it's tolerable since this opening is actually scary due to the limited control. But then the environments open up, becoming less claustrophobic, and the zombies (whose corpses had remained on the ground after being gunned down initially) begin to dissolve into evaporating ooze that produces ammo dumps. It's here that Resident Evil 6 turns into a slow-moving action game that emulates the movement, but none of the tension, from the Dead Space series. The other campaigns do not fare as well in general. 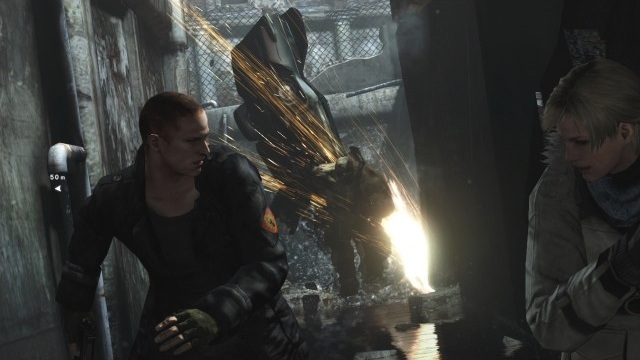 Chris Redfield's is particularly hackneyed, and comments from the peanut gallery while I played kept making negative comparisons to the Modern Warfare series in how fast and action-heavy it wanted to be. Newcomer Jake Muller's campaign feels very much like someone at Capcom is trying to ape the success of Uncharted (voice actor Troy Baker even sounds vaguely like he's doing a Nolan North impression); but here, in contrast to the Leon section, ammo dumps are too infrequent, making gunplay a frustrating affair. Getting through his storyline means relying on Jake's generic melee attacks, which technically are more powerful than Leon's or Chris's but are visually about as exciting as hitting someone with a nerf bat. On top of that, the controls for the chase sections in all the campaigns are at times either too imprecise or over-sensitive—or sometimes both. However, as I said before, one area where all campaigns shine are those sections where campaigns crossover (which comprise about ten percent of gameplay)—I can't stress that enough. Enemy heavies drop skill points which can also be found in hidden areas of the level. The skill points can be redeemed for stat boosts, aim assists, and other in-game bonuses; at first you only have three available skill slots, but after finishing one of the three initial campaigns, another 21 become available. However, every time skill points drop on the floor, you will likely be irritated that it wasn't a box of ammo instead. On a side note, Mercenaries mode is entirely driven by collecting these skill points, but unfortunately feels more like old-school RPG grinding than an enjoyable side game. Resident Evil 6's story is a convoluted mess. When I explained the story to my fellow GR staff, they eventually stopped me before I finished, their faces showing looks of incredulity and exasperation. I'm not talking about the plot, since Resident Evil is known for its deliciously silly twists. The real problem is that each character's story is almost completely unsatisfying taken by itself. Chris's is the worst, where emotional trauma appears to have given Chris some never-explained-in-the-game selective amnesia, and after playing it I had planned to write, “We have reached a point where the Resident Evil movies have better plots than the games.” While the Leon and Ada Wong sections are strong enough to make up for it, even their campaigns make something approaching logical sense if you've played the other campaigns to completion. Visually, Resident Evil 6 is a treat, provided that you completely ignore the recommended video settings, which make the game too dark to see what's going on at any point, which does not make the game scary so much as unplayable. The character models look fantastic, and everyone appears to be slowly pushing towards 40 in age—the visual character progression is actually a nice touch. Environments look great, and the monsters do as well, aside from a few that look like they're made out of latex covered with slime. On the Xbox 360 review copy, it looked like Capcom was getting all that they could out of the machine. The more action-heavy sections that make up the bulk of the game—where you fight the new C-virus infected monster-type called J'avo—are neither particularly good or bad, just average and fairly generic sections of third-person shooter combat broken up by often frustratingly managed quick-time events and visually strong in-game cinematics. 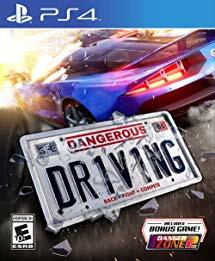 The rest of the game is either the strong co-op split events and cross-campaign sections, or the subpar, slightly-better-than-broken chase sections. 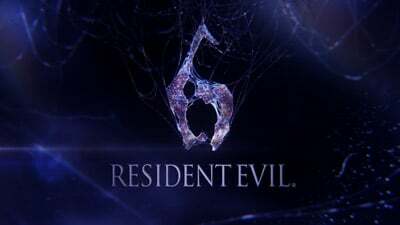 Resident Evil 6 rounds out to being an average but fairly bloated action game that tries to do too many things but manages to excel at only a few. 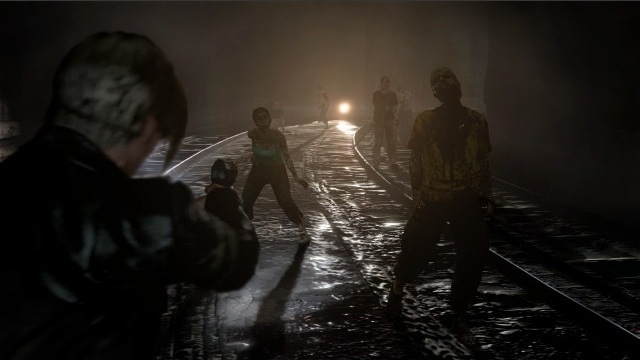 If you're a Resident Evil fan already, you've probably already pre-ordered the game and will enjoy the co-op gameplay sections and the continuation of the story—as fragmented as it is—from previous entries. If you're not, and are looking for an exemplary title in the series to try out, I suggest the 3DS-exclusive Resident Evil: Revelations, or if you're limited to the consoles, Resident Evil 4, instead. Copy provided by publisher. 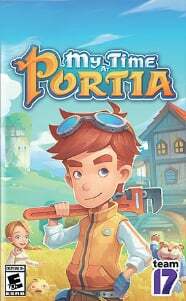 Review based on Xbox 360 version.